Society today is notable for its inconsistency over racism. Some are less affronted by racism and more aware of an opportunity, seeing it either as a weapon for them or against them. Within Britain, both the Conservatives and Labour are increasingly specialists in selective outrage. Labour were once seen as the party that opposed racists and fascists but increasingly has become suffocated by the stench of its unwillingness to address anti-Semitism. The Tories happily point this out whilst allying with anti-Semites in Europe and dismissing Islamophobia. Unfortunately, treating racism as something requiring moments of outrage depending on whether the wind is blowing against you or your opponent is no stranger to the rest of society. 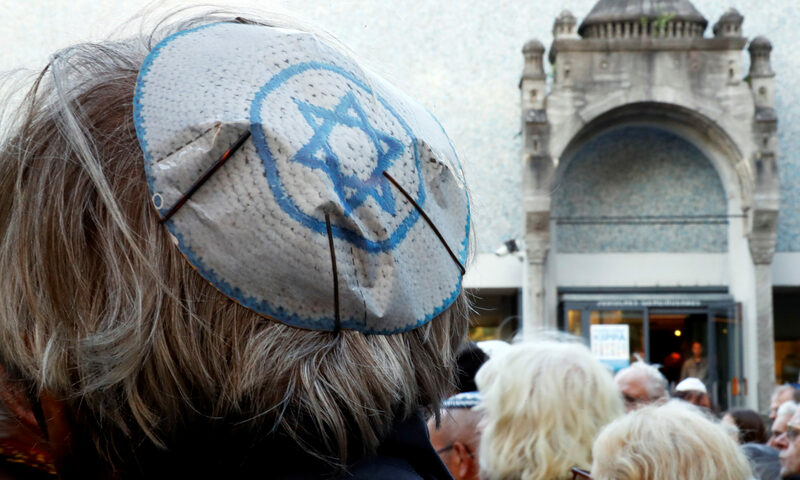 Anti-Semitism remains a scourge in our country, with British Jews visibly abused and assaulted, though the receding mention of this in the newspapers suggests how normalised it has become. The Community Security Trust (CST) warned that over a 100 anti-Semitic incidents were being recorded on a monthly basis in Britain, stating that bigots were becoming increasingly emboldened to express their views. Children had been physically assaulted while graffiti had stained homes and synagogues, while MPs had been targeted with abuse for speaking out. The hostile environment towards British Jews is encapsulated by Labour’s implosion on this matter. But what about amongst British Muslims? How rife, or non-existent, is the issue of anti-Semitism amongst Muslims? A study by CST found that British Muslims as a demographic were significantly more anti-Semitic than the general population, measured by their agreements or disagreements with a series of statements. When presented with the statement that a British Jew was as British as any other person, 61% of British Muslims agreed compared to 78% of the general population. And while 61% of Britons viewing Jews as making a positive contribution to society is a depressingly low number for one of Europe’s more tolerant societies, amongst Muslims it polls as low as 37%. Other statements which display prejudice towards Jews amongst many British Muslims include ‘Jews think they are better than other people’ and ‘Jews get rich at the expense of others’. The most harrowing statistic is that 27% of British Muslims believe Jews have too much power compared to 8% of wider society. These numbers represent an unavoidable problem that must be addressed. But a reassuring takeaway, or perhaps simply an indicator of low standards, is that there are plenty of Muslims who reject prejudice towards Jews. Often when confronting issues amongst British Muslims, many commentators, tempted by their own internal biases and prejudices, resort to blanket statements regarding British Muslims. But likewise, silence serves no-one, least of all British Jews. As Labour lurches from crisis to crisis on this issue it’s not uncommon to find the post of a prominent British Muslim activist on social media labelling accusations at Jeremy Corbyn as simply smears concocted by the establishment. Increasingly people associated, presently or formerly, with notable British Muslim organisations have been firmly insistent that anti-Semitism is just a conspiracy conjured to derail a Labour Party wedded to Palestinian liberation. Understanding why British Muslims are relatively muted on anti-Semitism compared to other forms of racism requires understanding of how much of a burning issue the Palestine-Israel conflict is amongst British Muslims. As a community (plural more than singular) we are not the most politically active, and our energies are limited to issues that directly affect those of Muslim identities. Foreign affairs is a big talking point amongst British Muslims, and it’s common to find someone outraged (and rightly) over the Iraq War and Assad’s butchery in Syria. But it is Israel’s brutal treatment of Palestinians which sparks the most anger and activism. Yet as seen in the numbers mentioned earlier, it has resulted in many British Muslims regurgitating old anti-Semitic tropes. They see Israel behind everything, blame them for trying to undermine the fabrics of the Islamic identity in the Middle-East. Jews are seen as the rich, invisible puppet masters of the world. And because Jews are seen as powerful, sympathy for those abused in Britain becomes low. Anti-Semitism is regarded as a distraction from focusing on Palestine, a form of racism that isn’t a real racism. It’s as though anti-Semitism died with Hitler and since then it’s been cosy for Jews. Combine that with Jeremy Corbyn’s impassioned stance on Palestine and racism, any criticisms of him regarding anti-Semitism is often decried by leading British Muslim activists. Islamism is rooted in anti-Semitic beliefs but this is not the cause of its prevalence. Most British Muslims are happy to live in a secular state like Britain and are not agents for Islamist reform in the country. Anti-Semitism doesn’t owe itself necessarily to Islamism but a mutation of activism for Palestinian justice. Tackling it requires an acceptance that Jews are also ethnic minorities in Britain, something many on the left don’t consider when discussing BAME communities. Many Jews might be wealthy but that doesn’t mean they have any significant level of power and influence in British society. British Indians after all are a prosperous minority in the country, yet few would consider them to be immune to racism. Many Muslims can sympathise with the notion that Israel was created as a refugee state for a group of people persecuted and hounded by white supremacists. They can see the powerful concept of a Jewish homeland and separate it from Israel’s awful treatment of the Palestinian people. Campaigning for a dismantlement of the illegal settlements in West Bank is a basic humanitarian obligation. But it doesn’t contradict the need to talk up more about anti-Semitism. This is basic solidarity that victims of racism should show each other. Look to Pittsburgh in America where a white supremacist gunned down Jewish worshippers in a synagogue and the local Muslims responded with acts of compassion and kindness. That is the Islam that is preached in the Quran. Not one that advocates silence when Jews are facing bigotry on the streets of our home. Previous PostPrevious Muslims Against Anti-Semitism is proud to have run this campaign in a national newspaper highlighting the need to tackle anti-Semitism.